Indie artist Shamir has a new album, Revelations, this November, but he's been kind enough to share it with NPR and all inclined listeners for an early preview. The upcoming album is not like the Shamir of three years ago: if you're expecting the Shamir who gave multiple birds to the haters on his energetic 2014 track "On the Regular", change your expectations. If you're expecting an album loaded with social commentary re: youth and queerness, you've found your artist. And if you've missed Shamir's androgynous vocals and willingness to self-examine, then you get excited. Revelations is the work of the weeks that Shamir spent back home in Las Vegas after being hospitalized for a psychotic episode. The mental breakdown was preceded by being dropped from his previous label, which was preceding by his underperforming album Rachet. It's possible Shamir's old label, XL Recordings, anticipated more of Shamir's poppy, diss-powered music, and less contemplation on what it means to be a young, queer, person of color. Revelations makes it clear that it's youth, queerness, and blackness that Shamir is interested in discussing. 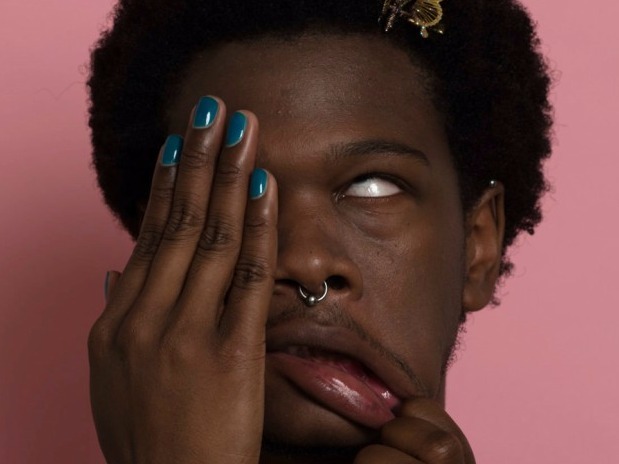 In the final song on the album, "Straight Boys", Shamir sings, "They say I'm brave for being true /But act like it's not something they can do / But they're clinging to a false sense of pride." Shamir may not be throwing shade at the pace his old label wanted him to, but he's still dealing out very real burns--they're just a bit more slowed down and meaningful. The most upbeat song on the album, "Her Story", is still loaded with social commentary, just with some peppy background vocals. Shamir is frequently described as an electronic artist, but I'd be hesitant to say this is an electronic album. His vocals and lyrics are what's on display for the majority of the album. There's always a melody to Revelations' songs, but it's a faint, almost ambient guitar loop and/or a clippy percussion beat, in most cases. In "You Have a Song", he rocks a little harder, perhaps harkening back to his high school days, when he was in a short-lived punk band.